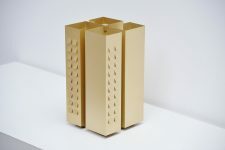 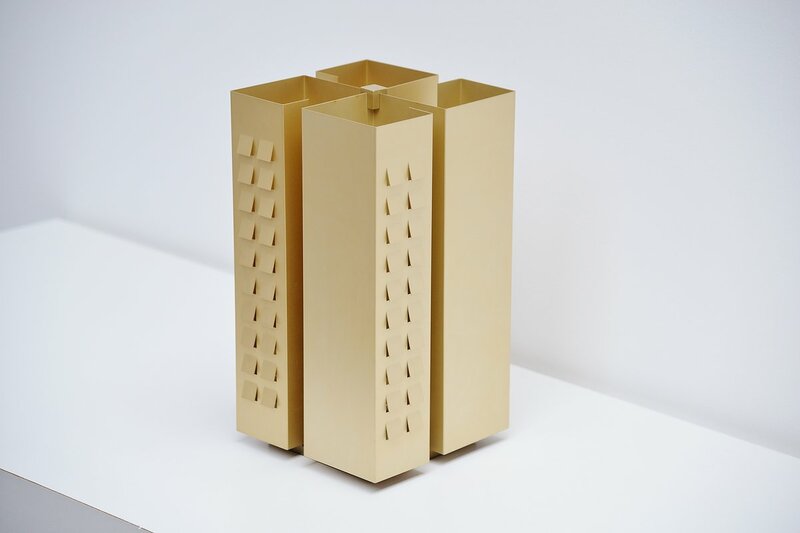 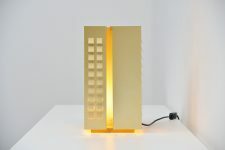 Very nice table lamp made by Raak, Holland 1970. 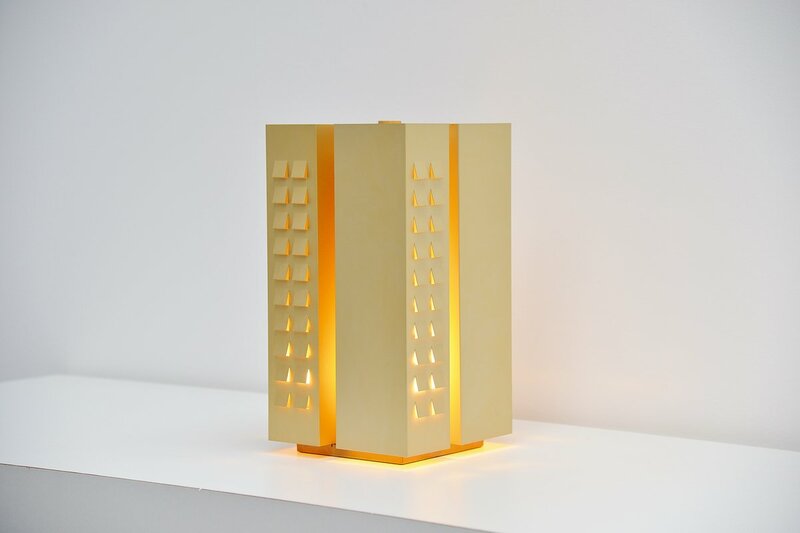 This lamp looks like a skyscraper building with small windows that are lit. 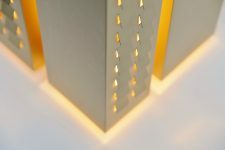 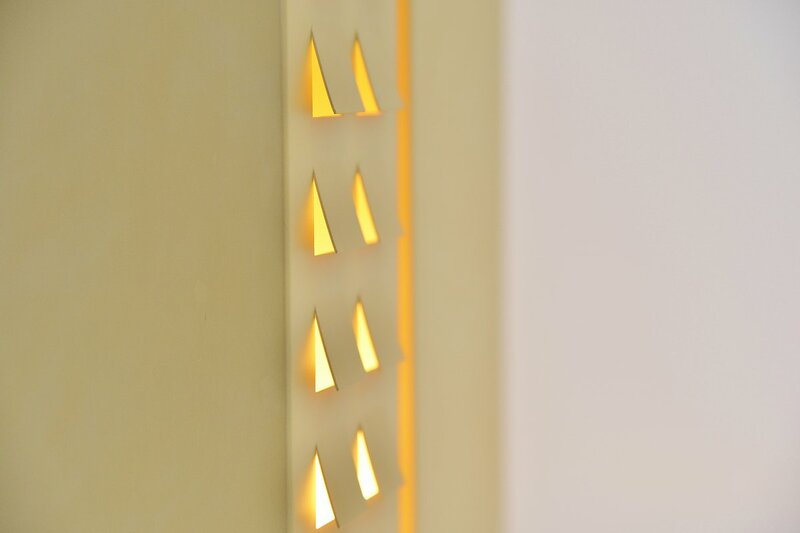 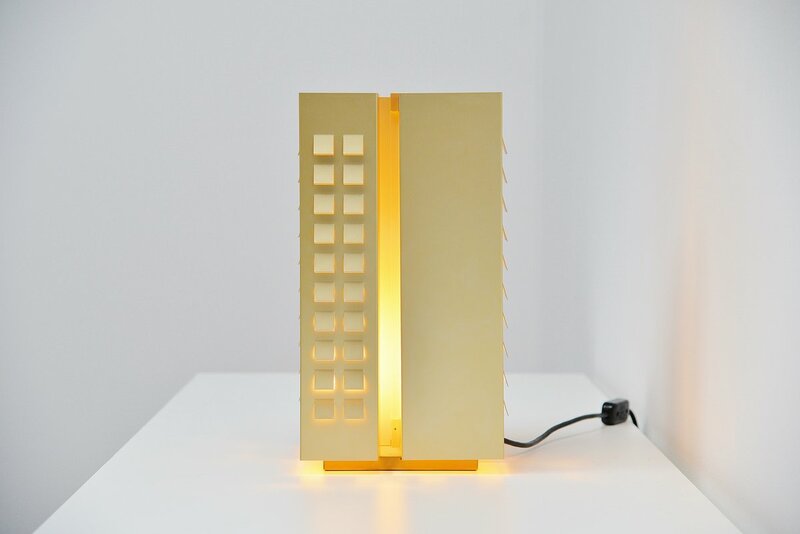 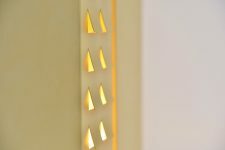 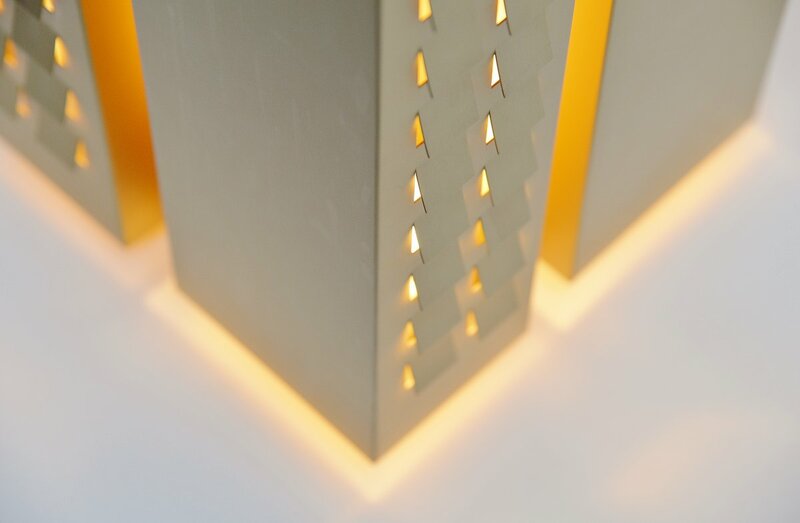 This lamp is made of golden aluminum and gives very nice warm light when lit. 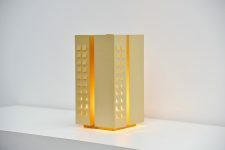 I have never seen this lamp before, its a very rare piece. 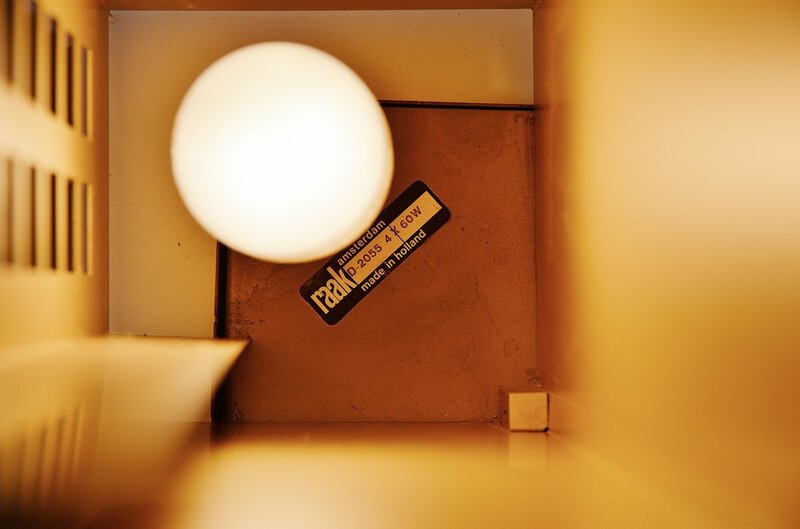 The lamp is in excellent condition and is marked with the Raak sticker on the inside.